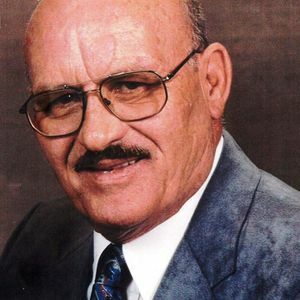 Mr. James Bogard, age 80, of Murray, Kentucky, died on Saturday, January 26, 2019, at Spring Creek Healthcare in Murray, Kentucky. Mr. Bogard was born on December 17, 1938 in Murray, Kentucky to the late Troy W. Bogard and Euple Mae Colson Bogard. He retired from Tappan and worked at Crouse Motor Sales. He was a former member of 7th and Poplar Church of Christ, and the Loyal Order of Moose. Survivors include one daughter, Susan Miles and partner John of Cadiz, Kentucky; son, Jim Bogard and partner Krista of Tempe, Arizona; brother, David Bogard and wife Joyce of Murray, Kentucky; three grandchildren, Daniel Hughes and wife Mary Liz of Murray, Kentucky, Danielle Bogard and Justin Bogard both of Phoenix, Arizona; as well as five great-grandchildren, Mariana, Lilah, Alice, Olivia, and Connor. A memorial service for James will be held 11:00 a.m., Saturday, February 2, 2019 at the J.H. Churchill Funeral Home. Rev. Ronnie Burkeen will officiate, and burial will follow in Murray Memorial Gardens. Visitation will be held Saturday, February 2, 2019 from 10-11 a.m. at the J.H. Churchill Funeral Home. Expressions of sympathy may go to Shriner's Hospital Cincinnati, Donor Development, 3229 Burnet Ave., Cincinnati, Ohio 45229 or Moose Heart, 155 International Drive, Moose Heart, Illinois 60534.